This use to be on the menu for almost all the festivals at my home when growing up. Looks creamy & rich! Yummy. You made me nostalgic. 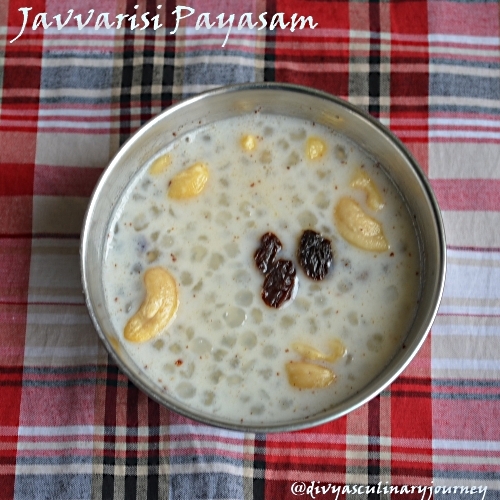 This is one of the payasams my mother used to prepare on festival days. Wow that's a healthy one. very nice........like the microwave version. 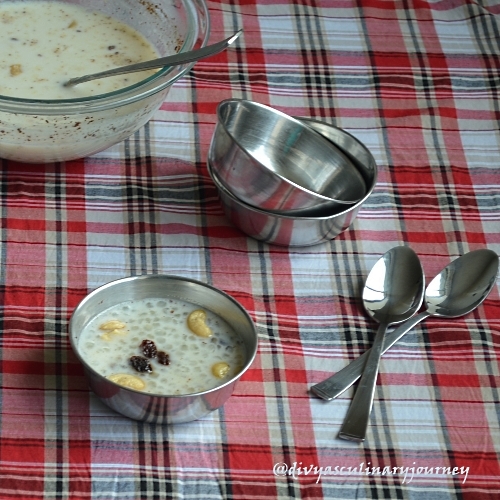 Omg, wish to have a bowl rite now, havent tried through microwave, now you are pulling me to try,thanks for sending to MEC Divya. 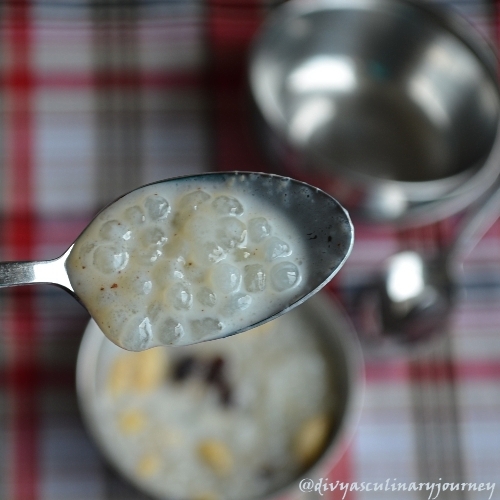 Picture looks so pretty..love sago payasam! I love this, but have not been able to get it right. Will try the microwave version.